This tight curl of 14K Gold Filled wire is about 9/16" in diameter. Simple but distinctive. This pendant is representative of the one you will purchase. Since all my plain-wire pendants are hand-crafted, no two pendants of the same design will be identical. Small variations in size and design are inevitable. 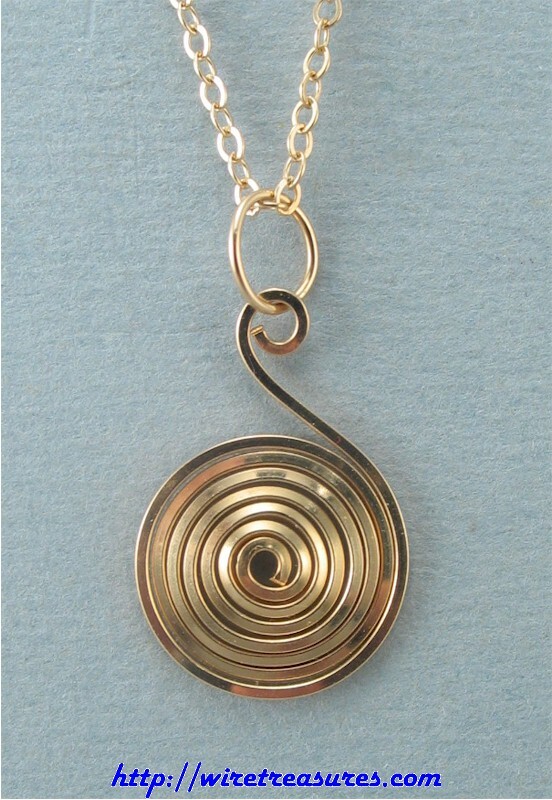 This pendant comes with an 18" 14K Gold Filled chain. You are visitor number 5,581 to this page.